OK, everyone, settle down. We have a question. This is important. No, really. Can someone turn the music down? Ready? 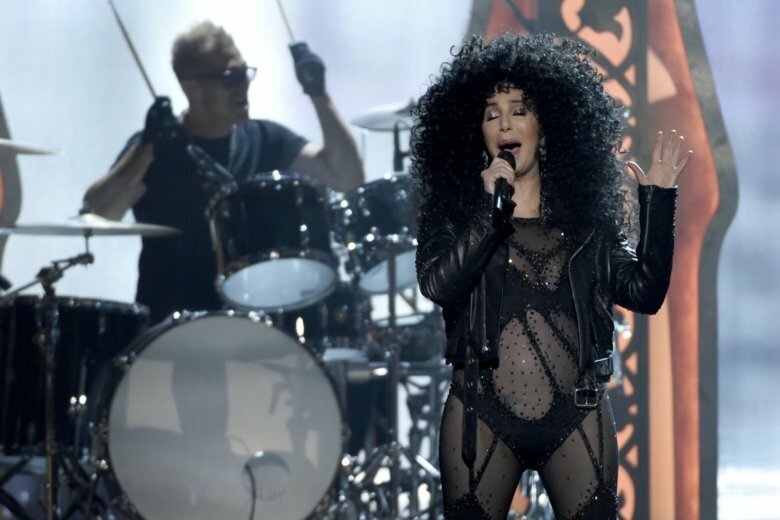 OK: Put your hand up if you’ve ever asked for an album of ABBA covers by Cher. Seriously, who wanted this? Anyone? Cher offers a very deliberate, 10-track collection of classic ABBA songs, including “Waterloo,” ”Mamma Mia” and “SOS.” Inexplicably, she returns to “Fernando” for another swing, having already supplied a version for the film’s soundtrack. That cover is produced by former ABBA member Benny Andersson; the rest of the album is produced by Cher’s longtime collaborator Mark Taylor. All the versions are fantastically well produced, mixed and arranged, but there’s a strange coldness in these tracks, as if all the fun was drained. Cher takes them all very, very seriously, like they were tunes by Stephen Sondheim instead of frothy disco songs. Her take on “The Winner Takes It All” is especially preposterous and pompous. Only one song, “One of Us,” the final one on the album, reinterprets the original into something somewhat stirring and thoughtful. The cleverness of the “Mamma Mia!” films is that familiar pop songs from the 1970s get sung by movie stars in a lush romantic comedy. That’s different from belting out the same tunes in a recording studio and not adding anything. Please, Cher, go ahead and do an acoustic version or even a punk take of the ABBA catalog. But “Dancing Queen” — except for one song — has nothing new to say and simply reeks with the appalling stench of greed.